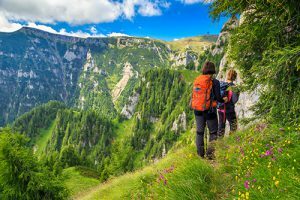 Handmade Hiking Boots: Why You Should Tell Your Other Boots To Hit The Trail! Who doesn’t love a good camping or hiking trip? I love to go camping. Setting up my tent, getting the campfire lit. Cooking dinner over an open fire or on your Coleman stove, you just can’t beat it.Love waking up in the morning, crawl out of my sleeping bag, stoke up the fire, and start the day off with some campfire coffee. What’s the activity of the day gonna be, Canoeing? Maybe I’ll start off with one of my favorite things, a good hiking adventure. Some people call it hiking, I call it exploring. There is nothing better than walking down that hiking trail whether it be in the woods, along a steep mountain trail, or through the glistening white snow across a frozen lake. Before you get started on your adventure, you just gotta have the right equipment. When it comes to hiking, it starts with your feet. You definitely want to have good, or should I say great footwear! What could be better than a pair of handmade hiking boots? Nothing that I can think of. Do I Need A Pair Of Custom Boots? Who Are They Generally For? 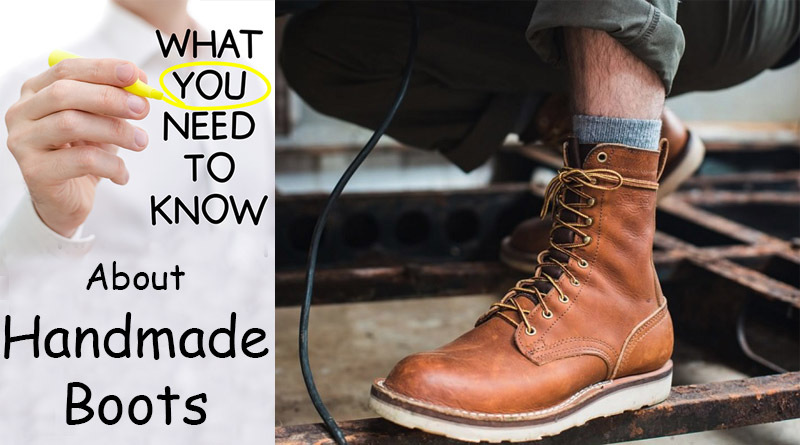 You might be asking yourself “Who are handmade boots usually for?”. Well, the answer is anyone. You know they are gonna cost a little more than the average pair, but if you know anything about your feet, you know it’s worth it. I guess the first group of people that come to mind are people who have trouble finding a pair of boots that fit correctly. Are your feet to wide? Too flat? Unusual shape? Yeah, the list can go on and on. If this is the case, you can usually get by with store bought walking to and from your car or around the office, but when your feet leave the pavement and you’re out in the wilderness, store bought just isn’t gonna cut it. You will be glad that you shelled out a couple extra dollars and your feet will thank you. Men’s 6″ ESD Boot. This versatile hiking boot can manage slick terrain. Electro-static dissipative technology neutralizes static electricity in this slip-resistant lacer. You would figure that would be it. People with foot problems and that’s it. Then I started thinking about a camping trip I went on a few years ago and all my friends couldn’t wait to show off their newest and latest gear. This tent pops out of the bag and practically sets itself up by itself or someone (me) converted a suitcase that was a traveling bar. Great for camping or tailgating. People love to brag about their gear, especially when it’s pricey. Same goes for the shirt they are wearing, the purse they are carrying, or the custom handmade boots on their feet! When it comes to custom items, it’s the same all the way across the board. Cars, clothes, watches, etc…, custom usually means quality. 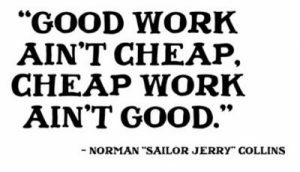 Some people appreciate quality and they have the money to buy it. Imagine walking down the trail and you have a pair of cheap boots on. After a couple miles you tell your buddy you need to stop and rest a second, your feet are killing you. He’s wearing his new pair of custom boots that he is pointing to and says “you should be wearing a pair of these” with a big smile on his face. This is the second group of people I think would be interested in custom handmade hiking boots, people who appreciate quality (and of course like to show it off). Where In The World Do I Go For Customization? You may be thinking, where do I go for this? I mean, maybe you live in a small city. Do you have to drive somewhere to find a special store where they can do this? It kind of sounds like a pain in the you know what. You might live in say New York or Chicago and maybe you can fight through the traffic and find a place a couple miles away. Oh joy! Come to find out, you really don’t have to go anywhere. You can take care of everything right on your computer. Remember, when you are dealing with custom merchandise, you are also usually dealing with a higher standard of customer service. Most of the custom boot manufacturers will send you the tools and instructions to measure your feet. A custom “fitting kit” so to speak. What Can I Expect To Shell Out For Custom Boots? As we said, and what I’m sure you already knew, you’re gonna be paying more for custom hiking boots than you will for off the rack boots. I’ve seen decent quality store bought boots go anywhere from $100 to $400. These can be a pretty good pair of boots, but still can’t touch a custom-made pair. I’ve seen custom hiking boots anywhere from $600 to $1,200. Wow, definitely not cheap, but remember, you get what you pay for. This is not only an investment in your boots, but also in your feet. You’re not only paying for a really great design that you just won’t be able to find in stores, but you are getting a quality product that could last for decades. The only thing you may need to do is get them resoled every so often as they will be so comfortable, you will probably be hiking extra miles in these bad boys. I think it’s pretty safe to say that a pair of handmade custom hiking boots is definitely for you. No matter if you have issues in finding footwear that fit your feet or if you just appreciate the quality that is put into a pair of handmade boots, you can’t go wrong with fine craftsmanship. Don’t let the process of the customization process scare you. The instructions and everything you need to do it is quick and painless. 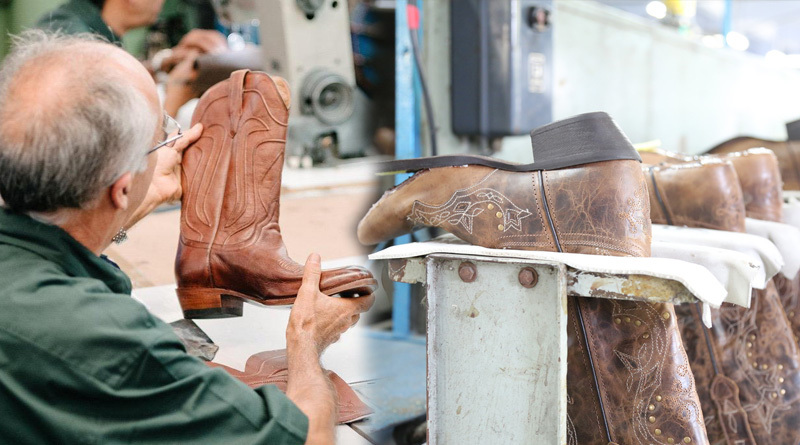 It is definitely a process that you will remember every time you wear your boots and it is sure to put a big smile on your face. Yes, the cost may be a bit high, but you are paying for quality service, a quality design, and quality craftsmanship that is practically impossible to find with store bought boots. Remember, a pair of handmade hiking boots is an investment in your feet. Happy hiking! Let us know what you think by leaving a comment below. Do you have a favorite type of boot or a good experience? Let us know. This article was very enjoyable to read. It was very informative (you definitely know your “exploring” boots) as well as well-written and entertaining. Who knew all that about boots? Loved the pictures too. HMMMMMM…I haven’t been HIKING in AWHILE…. Thank you for the post. Time to get yourself some boots and hit the trail! This is so awesome!! You definitely get what you pay for, especially when it comes to shoes. I notice a huge difference when I actually invest in quality footwear. Getting something actually custom made for your feet sounds like a dream!! If they really last for decades, it’d be worth it for sure! Exactly right. Usually when you spend a couple extra dollars, it pays for itself in spades! Big up on handmade boots! My right foot is almost 3/4 of a size bigger than my left and oddly my left foot is wider than my right one so buying footwear is always a nightmare. Have my custom made boots for a while now and can’t beat it for comfort or quality. People tend to think hand made is another way of saying the sole will fall off but this isn’t the case. Glad to meet another fan of custom boots. I’m sure your feet love you for it!